Improving Russia's investment climate: What will it take? 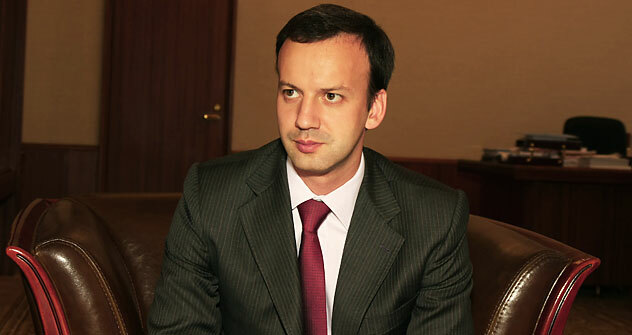 Akardy Dvorkovich is one of the faces of Russia’s liberal reform program and, as special economic advisor to President Dmitry Medvedev, he is in a position to make a difference. Ben Aris, editor-in-chief of business new europe and contributor to Russia Beyond the Headlines, sat down with Dvorkovich to discuss the economy, the crisis and how corruption has impacted Russia’s progress towards becoming a normal country. Russia Beyond the Headlines: The share swap deal between BP and Russian oil major Rosneft has run aground after the Swedish Arbitration board froze the deal on the basis of dispute over BP’s shareholder agreement in its Russian joint venture partner in TNK-BP. Will the government lean on the AAR consortium that represents the Russian interests in TNK-BP to resolve the dispute? Arkady Dvorkovich: Clearly this deal began with a legal risk and everyone knew before the deal was done [that there was an issue with the shareholder’s agreement], but we hope the related parties will find a compromise and the partnership will not be broken altogether. RBTH: The Russian government just signed off on a round of big investment deals with many of the world’s leading automotive producers who have agreed to significantly increase their production. Is Russia ready to compete head to head in the global car market, assuming Russia joins the WTO and import tariffs are lowered? A.D.: We hope to attract new investment to Russia and this is not just assembling [cars]. I am not sure that this can be achieved just by raising tariffs, because it is about increasing the quality of the of the investment climate. We are not quite ready to compete head to head with international producers, but the WTO includes a seven-year transition period and that is enough to be ready. Big companies like Avtovaz and GAZ are still not competitive, so we need these seven years. We also need good strategic investors. RBTH: The government seems to be following a similar blueprint to cars with the pharmaceutical sector: raising import tariffs for companies that don’t increase their production capacity in Russia. A.D.: The situation with pharmaceuticals is a bit different. There is a high domestic demand from the state; it is a different landscape and we can attract investment simply by the size of the market. If there is some degree of certainty [in the growth of demand] then the international companies will place production here without the need to raise tariffs. RBTH: One of the biggest complaints foreign investors have is that the Russia state plays too big a role in the economy. What is being done to reduce the state’s share? A.D.: We have already agreed to sell of the state-owned stakes, but it is a question of timing. However, it is clear that eventually we don’t need state participation in most sectors. Sberbank is a special case and we need to be careful as it has a big social component. Gazprom, too, and [the state-owned rail monopoly, the federal power grid company and the oil pipeline monopoly] are also all special cases – but everything else like VTB Bank doesn’t need state participation. Still, the market will only bear so much and we can’t sell all these things at once. However, the president has already ordered an increase in the pace of privatisation. Just this week the National Banking Council board agreed to sell a 7.58 percent of Sberbank over the next three-year period. We are preparing this now, and will waiting for the best time [to sell the stake]. It will happen in 2011 or 2012, depending on market conditions – but the decision has already been made to do it. RBTH: A year ago there were a string of opinion pieces calling for the “R” to be removed from the acronym BRIC. Certainly Russia is the least loved of the four emerging market powerhouses. Do you think that is fair? A.D.: China and India are a lot bigger than Russia and that is important to investors. They have a total of 2.5 billion people compared to Russia’s 142 million. Russia is better compared to Brazil, where the size of the population and the technological level are similar. But the expectations for Russia are much higher [than Brazil] as we are treated like a European country and we need to reach the same level of comfort for the foreign investors. Yes that is fair: We are a European country and so we should have the same standards. RBTH: Maybe the biggest complaint about Russia is the high level of corruption. Has any progress been made in the anti-corruption drive? A.D.: The anti-corruption drive works and the trend [towards improvement] is there. There has been a positive change, but it will not be finished in a year. Bribes are going up, but that is partly because the people that take bribes can see that it is not going to last too long. They want to catch the last train. But this is a systemic issue, as this is not just a bunch of criminals. Corruption exists at all levels and comes back to the state’s involvement in the economy: If we can reduce this, then the potential for corruption will also fall. Corruption is connected to the preferential treatment state-owned companies receive. RBTH: There is a lot of talk about reform, but why are they going so slowly? A.D.: The reform drive has slowed, as there is a lack of focus. This is such a big system that if people know there is a political focus on an issue they follow up on it, but if not then they go back to doing the same things they did before the reform. We have made progress in cutting red tape, but there is not enough focus. The problem is made more difficult as we have to try and combine the federal initiative with an active regional administration participation if we are to improve the investment climate. A huge responsibility rests on the governors and mayors of regions. We need to introduce best practices across Russia, but we can't impose this top down. RBTH: With over $600 billion in hard currency reserves going into the crisis, it seemed that the government at first thought it could simply bail the entire economy out. However, Russia was badly mauled. As the crisis recedes what will be the biggest effects? A.D.: If this had been a local crisis we would have had enough money to deal with it, but it was of course a global crisis and we couldn’t deal with that. The conclusion is that we need to change the structure of the economy and not repeat the same mistakes. But look at the results of the crisis: there was no run on banks, no major bankruptcies. Some people bought dollars but in a few days they sold them again and the demand for the ruble when up again. There is a trust in the bank sector and the ruble that we didn’t have last time round. One of the main problems we face is that people don’t realise that we are already competing globally, but now – after the crisis – people are starting to understand this more and more. They realize that we can't rely on our own market.